A new set of awards designed to recognise the best reporting on issues of violence against women and girls has been launched. The inaugural ‘Ending Violence Against Women and Girls Media Awards’ will see journalists honoured for their reporting on the issue – with categories rewarding features, news and comment on the subject. Chaired by author and journalist Joan Smith, and organised by a Coalition of women’s organisations, the awards aim to encourage greater investment in stories about violence against women and girls that are informed, accurate, sensitive and fair, and that help to ‘set the agenda’ and create public debate and change. Entries dating from 1 January 2016 and afterwards are now being invited, with entries due to close on Monday 3 October. Said Joan: “The media has the capacity to create a much better informed debate about violence against women and girls. She added: “We are launching these new awards on Press Freedom Day so that we can highlight the importance of protecting and upholding a free press which is unafraid of challenging abuses of power. The award winners will be announced on 25 November 2016, which is the International Day for the Elimination of Violence Against Women. 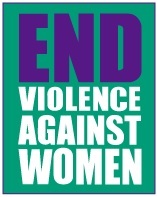 More information is available at the End Violence Against Women website.